This download includes two Alphabet charts. One chart is colour and one is black and white. 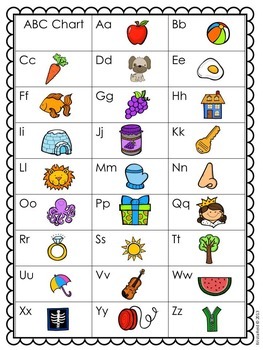 These Alphabet charts are great for whole and small group activities. These charts are also a great addition to your students writing folders, as a reference in their desks as well as literacy and writing centers. Just print and laminate and they are ready to go.